Well, one thing is for sure now, me and German movies don’t mix. That’s not to say they’re not good. In fact, it’s quite the opposite. Both Fritz Lang movies that I have watched, Day 15’s Greed and today’s movie were well-acted and had a great story. It’s just the sound of the language is, well, it’s not the easiest language to sit and listen to. 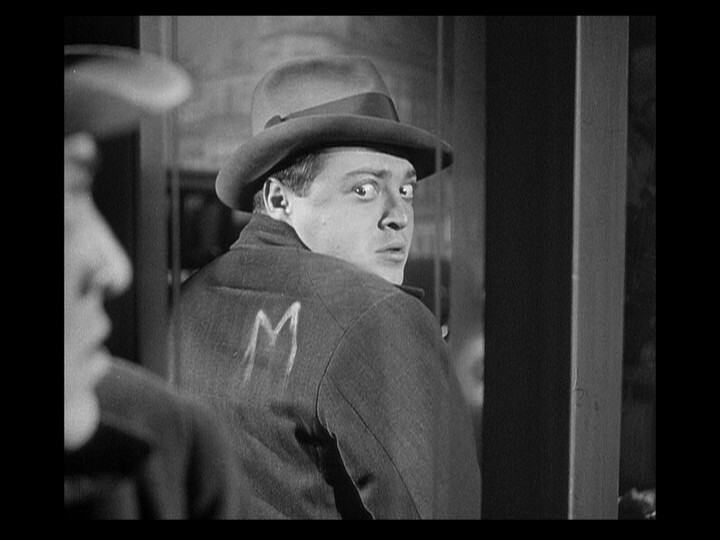 Peter Lorre is excellent playing his typical wide-eyed crazy-man. This time, he’s a mysterious child murderer who sends postcards to newspapers a la Zodiac. His frenetic acting at the end is both gripping and chilling. But to get to that moment, you have to sit thru over an hour of the police cluelessly performing random searches and a freaked-out public accusing every man talking to a child as being the murderer. That kind of guilty-before-innocent mentality permates through our society now, whether it be a celebrity being accused of doing something or our own inherent prejudices that we gorw up with. M is more than just a crime drama, there’s an underlying theme that examines our own social prejudices and how fear can be spread so easily (we only need to look at the previous Bush regime for proff of that). Wow, I feel like I just dissected this movie for one of my old film classes. If any of my old professors (Dr. Ed Fink, Prof. Phillippe Perebinossoff, Prof. Erika Hernandez) stumble across this, feel free to give me a grade! Tags: 100 Years in 100 Days, Derrick Deane, Fritz Lang, German. Bookmark the permalink.